Are you there, blog? It's me, Gutbrain. We took a couple of months off. Facebook drains a lot of blogging energy. We also moved, which drained every other kind of energy. But I think we're back now. 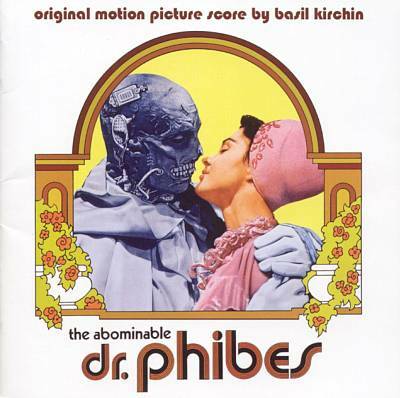 And we aim to continue with the 403rd Soundtrack of the Week, Basil Kirchin's music for The Abominable Dr. Phibes. 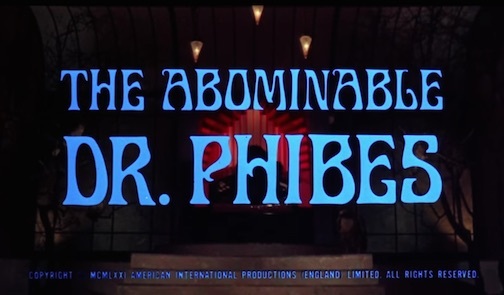 Apparently you can watch this whole movie on YouTube! It's pretty good, as I recall. 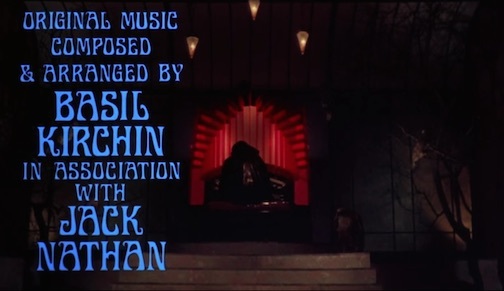 Kirchin's score has a recurring theme, a soaring melody that sometimes appears as a waltz but always expresses the romantic longing and deep love of the deranged title character. The CD contains a couple of source cues and a suite of unused music that's about twelve minutes long. mostly reiterations of the main theme. The double bass is a prominent voice throughout, played with persuasive high energy and impressive musicality by Daryl Runswick.